SUPER INDEPENDENCE DAY SALE GOING ON NOW! OUR PRICES ARE LOWER THAN AMAZON & EBAY! Welcome to the newly redesigned online home of Scientific Sales, Inc. With over 29 years of selling quality, affordable weather equipment, we pride ourselves on continuing to source the very best instruments for our customers at low prices. Whether you're in the market for weather balloons or your very own home weather station, you'll find that our selection is always current with the latest advances in climate technology and priced to move quickly. At Scientific Sales, we simply won't be undersold. Explore our wide inventory, and please, check back regularly to find sales and specials on some of our most sought after products, including our ultrasonic anemometers. We carry specialized equipment, like wind monitors, with several models to choose from so you can find the perfect product to meet your needs and budget. Don't see what you're looking for? Contact us for assistance with finding the perfect weather product. Found one of our items at a lower price? Call us or email us and we're happy to match the price and send the item out to you immediately. Scientific Sales, Inc. was founded in 1989 to serve the needs of anyone whose activities require the measurement of weather. We are proudly celebrating our 29th Anniversary. With over 29 years of experience and thousands of satisfied customers worldwide, you can buy with confidence from Scientific Sales, Inc. Please shop our site and if you need further assistance, or can't find what you are looking for, contact us. We will be happy to recommend the proper item at a low price to meet your needs. Scientific Sales, Inc. is a leading factory authorized supplier of Weather Stations and weather instruments. 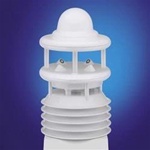 For 29 years we have been providing industrial and home weather stations to consumers, emergency response organizations, schools, The National Weather Service, and various government agencies around the world. In addition to weather stations we offer a complete line of weather instruments including anemometers, barometers, thermometers, rain gauges, weather radios, lightning detectors, and weather balloons. Scientific Sales, Inc. proudly represents many renowned manufacturers of weather instruments and weather stations around the world. We continue to search for the most up to date and technologically advanced weather equipment in the world. Also, we sell at low prices to save you money. Scientific Sales, Inc. is pleased to announce our agreement with WeatherBug to sell the WeatherBug Backyard Wireless Weather Station. The WeatherBug Backyard Weather Station is an affordable, highly accurate wireless weather station designed for both home and professional use. Wow! What a great deal I got on the Vantage Pro2 Weather Station. You guys are the best. I'm completely satisfied with the item, seller, and the value of the product that I purchased. Super New Year’s Sale Going On Now! Our Prices Are Lower Than Amazon!